St. Hilary's is particularly beautiful at the time of sunset, especially when it has been a hot sunny day outside. 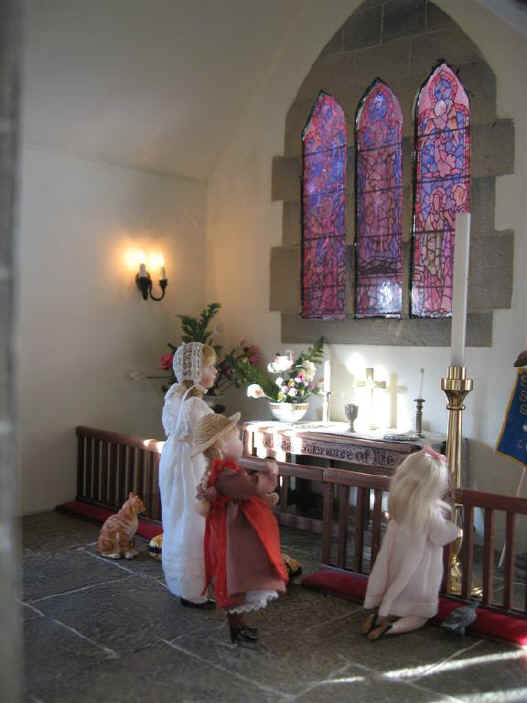 This photograph was taken before St. Hilary's had the new chancel extension..
Alice, Adele and Priscilla Jane stand looking adoringly at the new East Window in the new chancel extension to St. Hilary's. It has been a VERY hot and sunny day but the sunset is just breathtaking. It will come as NO surprise to tell you that Tom took this photo with his grandfather's camera! Megan has come along to enjoy watching the sunset in St. Hilary's. She too is totally fascinated with both the sunset and the new East Window. 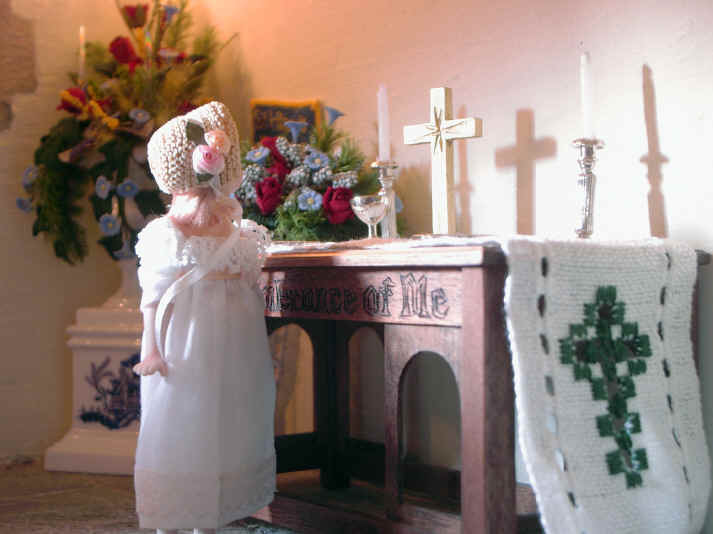 Priscilla Jane enjoys a quiet time at the altar as sunset approaches! 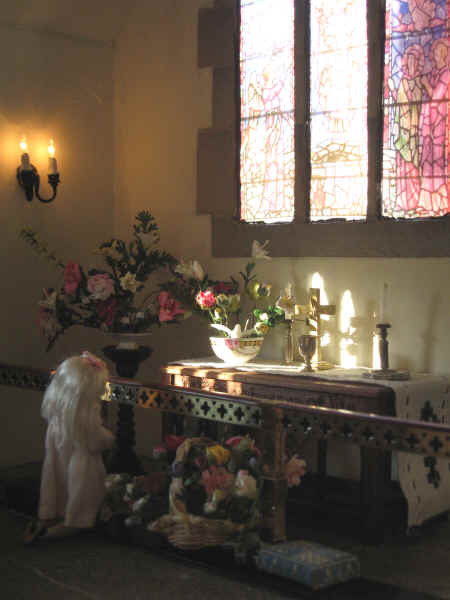 The sun just catches the altar here, in particular, the flower arrangement on the altar which has a dove in it to represent the Holy Spirit as part of the Summer Trinity Flower Festival. 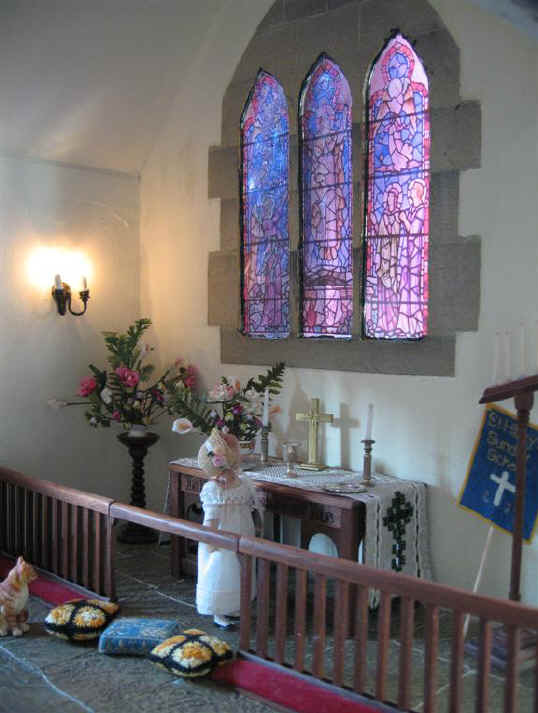 The new East Window is actually taken from a window in St. Mary's Cubbington. It was originally photographed by Sarah, a template created of exact size required for the apertures, and then printed out on to thin sticky back acetate. Vic Newey did all the the other work creating the window for us! Thanks Vic!